Sunrisers Hyderabad, recognized as the Orange Army,Good aggression.This year 11th Season Contests While IPL matches will be held in Mumbai Wankhede Stadium on 7th of this month,The Rajiv Gandhi International Cricket Stadium in Uppal will be played on the 9th game against Rajasthan Royals and Sunrisers Hyderabad.Following the auction, the team has strengthened their solid, all-round strength with new additions like Manish Pandey, Yusuf Pathan, Shakib Hul Hassan, Billy Stanlenek, Vidhya Manha Saha and Carlos Brant White. layers of Hyderabad and the innovative combination of talented players have been recognized as the most promising team this season. Experienced cricketers include Kane Williamson, Bhuvneshwar Kumar, Shikhar Dhawan, Manish Pandey, Yusuf Pathan and Shakib Al Sunni guiding the newly added team. The band was once again ready to take the title. 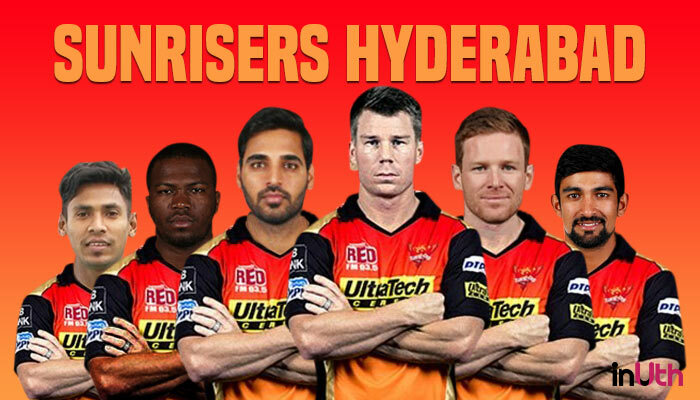 Sunrisers Hyderabad teammate VVS Laxman made it clear that the new players will get proper balance and proper balance and aggression. Sunriseers Hyderabad team members are in the presence of Team Mentor VVS Laxman, Head coach Tom Moody and bowling coach Muttiah Muralitharan.